My year of reading: 2012. I read so much this year that I've created TWO round-ups of highlights: one here, and one over at Kirkus. It's a quick, easy-going read, and just (as I said) so sweet. They're both lovely people without being completely perfect, and it's clear from minute one that they complement each other, and that they Belong Together. It wasn't just the tone that reminded me of Douglas Adams. It was the warmth—it was how Meg Rosoff was able to poke fun at (and sometimes skewer) humankind (and our mythology), while also conveying a sense of never-ending affection, wonder, and empathy. There's a sense of hope, too, but it's a realist's sort of hope—one that takes the past into account—so while there are brief, perfect moments of beauty, everything is tempered with a cheerful sort of pessimism. Recommended to fans of books by Kristin Cashore and Tamora Pierce, other fantasies starring Strong-Willed Heroines, and also to fans of The Queen's Thief books, but especially to fans of The Blue Sword. Biggest surprise for me? That more people aren't describing Shine as a crime/mystery novel. Because, yes, it's a nuanced portrait of a small Southern town—the beautiful, the downright ugly, and the in-between—filled with three-dimensional characters, and it's a story about friendship, family, fear, and forgiveness, but the driving force behind all of the action is a question: What Really Happened at the Come 'n' Go That Night? Finally, the writing is top-notch. It's the sort of fantasy that will appeal to fans of historical fiction, and the shifts in voice—from the storyline to the country's history to the fairy tales and back again—always feel consistent and comfortably organic. It also seemingly effortlessly conveys the Olde Fashioned Tone of a classic fairy tale, but without the emotional distance that the old stories tend to have. Short version? Read this book. It's beautifully written—and the translator should get an award, because, WOW—it's layered and beautifully crafted, the prose is gorgeous, Leonard Cohen's lyrics are a perfect fit, and the story is dark and tragic and devastating (I wasn't joking about blubbering at work) and it made me want to crawl under my desk until it was time to go home. In a good way. Would I recommend this wholeheartedly to Twilight fans? Yes. It's got the similarity in set-up, of course, with a girl and her single dad, a beauteous family moving in and the "Oh noes! We want to be together but we can't! storyline, though in this case, SPOILER it's more a "Oh noes! We want to be together but we can't A) because we want to kill each other, and B) because it would End the World, and C) because of a twist that fans of Cassandra Clare will be familiar with!" END SPOILER storyline, and so on. It works because, as I said, Hudson's voice is clear-as-a-bell-believable. When she spoke, I heard Hudson Avery, not Sarah Ockler. She makes some bad choices, she does some things she's not proud of, but through it all, I continued to pull for her. It's clever and charming, written with warmth and humor, has some scary bits and a nice little romance. Sunday is a likable heroine who adores her family, even when they drive her batty. Her siblings and her parents and almost all of the other characters are fully-realized, three-dimensional people. And although Enchanted works perfectly as a stand-alone, I've fallen so much in love with Sunday's family that I can't help but hope for a companion novel or two. The codes, the running around Europe, the centuries-old mystery, the conspiracies, secret societies, and existence of The One... all of these things will draw comparison to The Da Vinci Code. But The Book of Blood and Shadow isn't the YA equivalent of Dan Brown. Far from it. Robin Wasserman's prose and plotting, voice and characters all blow Dan Brown not only out of the water, but into space. It's beautifully written. That should already be apparent from the excerpt above. But it's not just in the way that Schabas strings her words together. It's in the depth of emotion, and in Schabas' complete honesty. Georgia is a sharp observer—which is fitting in a book so full of cruel truths—but she doesn't always understand what she observes; she's extremely self-aware, but doesn't always understand her own feelings; she's very composed on the surface, but her insides are a mass of confusion. For reals, guys, this book is amazeballs. There's a Paradise Lost thread that runs through the book: a line or two from it precedes each milestone in Angel's story, one of Angel's regular johns is a college professor who has her read aloud from Milton's Paradise Lost (specifically Book Nine), and the more times she reads it, the more she understands it... and the more she understands it, the more she wants to read the whole thing. Is there much in this book to cry about? Oh, yes. But as it plays out as more of a survival story a la How I Live Now (but minus the romance)—girl risks all to make her way across a dangerous, war-torn country while caring for an innocent—than a book simply about the plight of an endangered species. Sophie is so busy trying to keep herself (and Otto the bonobo) alive that she doesn't have time for the luxury of tears. Cover Art That Most Misrepresents the Tone of the Book: Gone, Gone, Gone. Literary Family I'd Like to Be a Part of: The McKays, in Friends With Boys. Favorite Cameo of a Historical Figure: Sir Walter Raleigh, in The Other Countess. So, let's hear it: what were the highlights for you this year? ...that I'm so happy to be writing for Kirkus: Obama Aims for Bland and Hits the Mark. Anyway, also up at Kirkus today is a round-up of some of my favorite reads this year. Not, it should be noted, a list of my favorite books published in 2010, but a list of the stand-outs I read. So it's a mix of older and newer and here and there and everywhere. My reading highlights of 2009. Chicken Spaghetti, bless her, has complied a list of Children's/YA Best of 2006 lists. If that isn't enough for ya, there is a list of a bazillion other 2006 lists at Fimoculous. The Master List is Complete. Kazuo Ishiguro - Never Let Me Go and When We Were Orphans made me want to read all of his books. And I will. William Gibson - Pattern Recognition and Neuromancer rocked. Keanu Reeves will never be as cool as Case. And Trinity looks just plain lame in comparison to Molly. Kelly Link's Magic for Beginners was awesome. Lovely, strange, surreal short stories. And ZOMBIES! Steve Almond's The Evil B.B. Chow & Other Stories - Love Steve Almond. Love his stories. If nothing else, go to the bookstore, stand there and read the title story. Not to be missed. Meg Rosoff's How I Live Now - If you only read one book on this list, read this one. Chris Lynch's Inexcusable - Okay, read this one, too. Chris Lynch is a genius. Christopher Krovatin's Heavy Metal and You - I'm now in love with Sam Markus. Scott Westerfeld's So Yesterday - His breakdown of the different types of consumers has weaseled its way into my daily vocabulary. And the prank! Genius. Neil Gaiman's Anansi Boys. For real. Even if you don't usually like fantasy, you'll probably dig this book. Because it's perfect and wonderful and I loved it. Ian McEwan's Atonement - I really thought I was going to die. That's how much I cried. But so, so good. Deborah Wiles' Each Little Bird that Sings - Yeah. This one made me cry even more. Also so, so good. Jean Nathan's Secret Life of the Lonely Doll: The Search for Dare Wright - This is a must read for anyone interested in children's literature. If you don't give a hoot about children's lit, it's also an amazing biography. Reginald Hill's The Stranger House - He just can't be beat. Layers upon layers upon layers. A town covering up a decades-old tragedy, two young people searching for their past. Goosebumpy. Carson McCullers' Heart is a Lonely Hunter - Months later, I'm still shocked that a 22-year-old wrote this book. She should probably also be in my Favorite (New-to-me) Authors category, but I'm trying not to double up. Ernest Hemingway's In Our Time - Yes. I still find it shocking that I loved a book by Mr. Bullfight Man. But I did. And now I might even read some of the bullfighting stuff. Augusten Burrough's Running with Scissors - Everyone and their mom has already read this, but I'm still listing it. Lisa Crystal Carver's Drugs are Nice: A Post-Punk Memoir - For those of us that were too young to experience the Suckdog shows in real life, this is a must. For those of you that experienced the Suckdog shows in real life, it's also a must. But you probably already knew that. 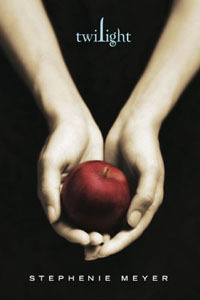 Stephanie Meyer's Twilight - I admit it. Despite the sometimes not-so-hot prose, I read this book in one day. I couldn't put it down. Libba Bray's Rebel Angels - I've become addicted to this series, regardless of my issues with the bizarro not-very-Victorian language that the girls use. Sarah Vowell's Assassination Vacation - What could be better than a book about assassinations? A FUNNY book about assassinations. Kathryn Lasky's Memoirs of a Bookbat - Daughter of born-agains learns everything her parents won't teach her from Judy Blume. Tobias Wolff's Old School - The scene with Ayn Rand is priceless. I admit that this list is excessive at best, but I still feel like I'm leaving some out.